Fitch Ratings has affirmed the Long-term foreign currency Issuer Default Ratings (IDRs) of Azerbaijan-based Unibank's (UB) and Demirbank's (DB) at 'B', and Atabank (AB) and AGBank (AGB) at 'B-', Fitch Ratings said today. The Outlook on AGB has been revised to Negative. The Outlooks on the other banks are Stable. The affirmations reflect the currently stable macroeconomic environment, as high oil prices support Azerbaijan's commodity-driven economy, and the banks' largely stable credit metrics. 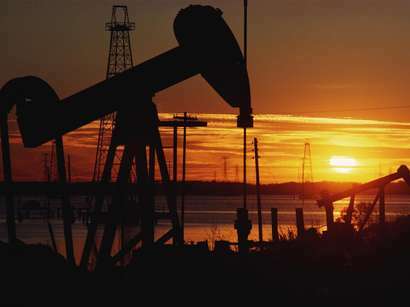 The spill-over effects of high oil prices on the non-oil economy have provided some growth opportunities for the banks and also supported the gradual resolution of post-crisis asset quality problems, Fitch said. Liquidity across the sector has been stable, underpinned by monetary expansion, which has supported deposit growth. Wholesale funding of private banks is mainly sourced from development institutions, remains limited in volume and reasonably diversified by maturity. Credit risks relate mainly to slowly-amortising corporate loan books, but asset quality metrics have been stable at UB, DB and AB, and all three banks could fully reserve reported problem assets without breaching minimum regulatory capital requirements. AGB continued to report relatively weaker asset quality: non-performing loans (NPLs) net of accrued interest ticked up to 15% at end-2012 (from 12% at end-2011) and they could not have been fully absorbed through available impairment reserves and capital. All four banks face emerging capital constraints, resulting from loan growth, weak profit generation (driven by margin compression and limited operational scale) and limited new equity injections, the message said. DB and UB appear better positioned to improve profitability by expanding into higher-margin retail lending. However, fast retail growth (20%-40% at both banks in 2012) entails significant credit risks, although both banks have recently strengthened their risk management capabilities. The success of the banks' retail expansion strategies will depend on their ability to contain credit losses and rising operating costs (the latter particularly high at UB, with a cost/income ratio above 70% in 2012). Capital constraints have become more acute for AGB and AB, which need to increase their regulatory capital to the new minimum requirement of AZN50m by end-2013 from AZN43m and AZN35m, respectively, at end-2012. Fitch understands that both banks have preliminary agreements with their current shareholders for capital injections during the year to address these shortfalls, but these plans have yet to be implemented. The Negative Outlook on AGB's IDRs reflects the ongoing weakening of the bank's solvency due to operational losses, as measured on a cash basis. AGB's pre-impairment result net of accrued but not received income has been a negative 10% of starting equity during 2012. The build-up on the balance sheet of accrued interest mean that at end-2012, together with the unreserved part of reported NPLs, this was almost equal to the bank's regulatory capital. In Fitch's opinion, the bank's dependence on regulatory forbearance with respect to loan provisioning is increasing. Upside potential for the four banks' ratings is currently limited, primarily as a result of structural issues affecting the operating environment (including high economic cyclicality, weak institutional development, generally immature corporate governance and political risks). Gradual improvements in the operating environment, a strengthening of the banks' franchises and an extended track record of sound performance could give rise to upward rating pressure over time. The banks' ratings could come under downward pressure if there was a large and sustained drop in oil prices, although this scenario is not expected in the near term. An intensification of capital pressures as a result of fast growth and/or an increase in impairment charges would also be credit negative, if not offset by capital injections. Failure of either AB and AGB to meet the new minimum regulatory capital requirement by end-2013 would also be credit negative, although by itself would be unlikely to result in downgrades given potential regulatory forbearance (at least in the short term) for banks with moderate capital shortfalls. AGB's ratings could be downgraded if pressure on the bank's solvency increases further as a result of continued pre-impairment cash-based losses and/or recognition of additional loan problems. Conversely, Fitch could revise AGB's Outlook back to Stable if capitalisation strengthens as a result of equity injections or improved performance and internal capital generation. 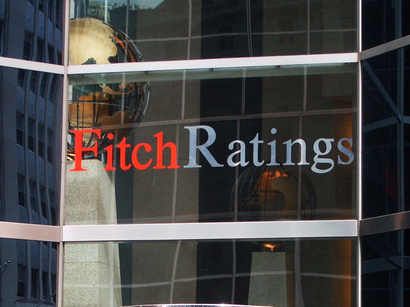 The SRFs of 'No Floor' and '5' Support Ratings for each of the banks reflect their relatively limited scale of operations, as a result of which extraordinary support from the Azerbaijan authorities cannot be relied upon, in Fitch's view. The potential for support from private shareholders cannot be reliably assessed. 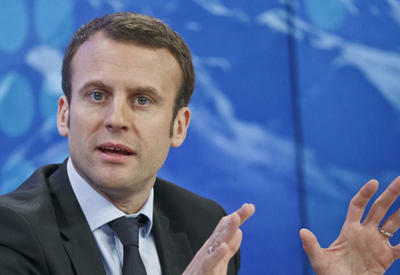 Fitch does not expect any revision of the banks' SRFs or Support Ratings in the foreseeable future, the message said. The official exchange rate is 0,7848 AZN/USD on March 14.